Come out, whoever you are! Broadside was an influential early music magazine put together with a typewriter and mimeographed. Pete Seeger and Bob Dylan were among a small group of publisher/writer/editors of “Broadside”: The National Topical Song Magazine during the 1960’s in New York. Hugely influential in the folk-revival, Broadside Magazine was founded in 1962 by Agnes “Sis” Cunningham and her husband, Gordon Friesen, as a small mimeographed publication. 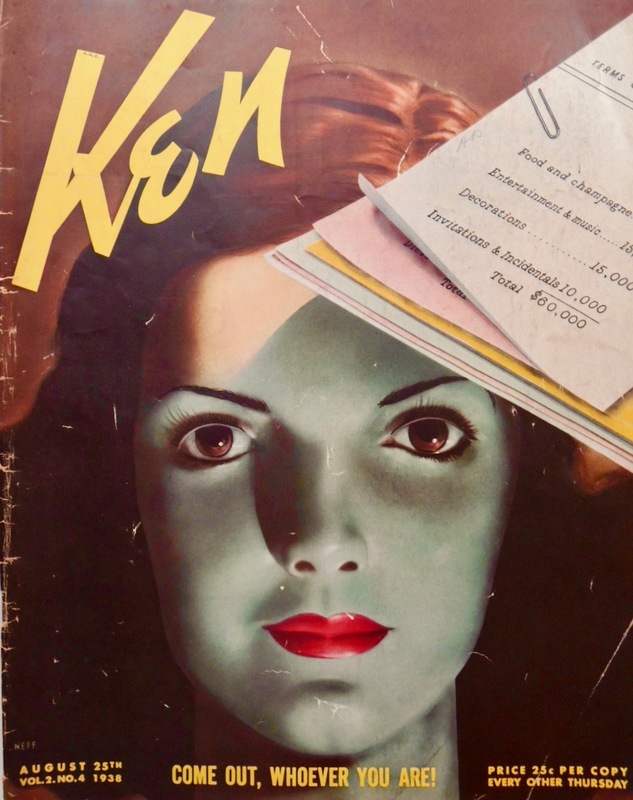 The magazine reflected the times. It was often controversial, and was the subject of questions in one of Bob Dylan’s many news conferences, as seen in the Martin Scorcese documentary on Bob Dylan released in 2005. Issues of what is folk? what is folk rock? and who is folk? were roundly discussed and debated. At the same time, Broadside nurtured and promoted important singer-songwriters of the era. 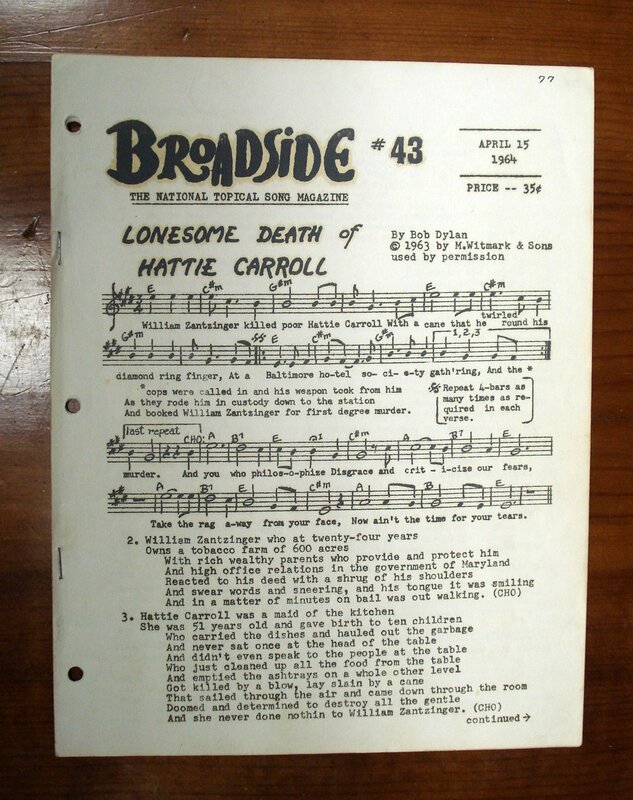 In this issue of Broadside Magazine, “The Lonesome Death of Hattie Carroll”, by young songwriter Bob Dylan, is published – April, 1964. This issue also included “Remember Me” by Phil Ochs, “It isn’t Nice” by Malvina Reynolds and “I Can’t Help But Wonder” by Tom Paxton. Broadside was an influential early music magazine put together with a typewriter and mimeographed. 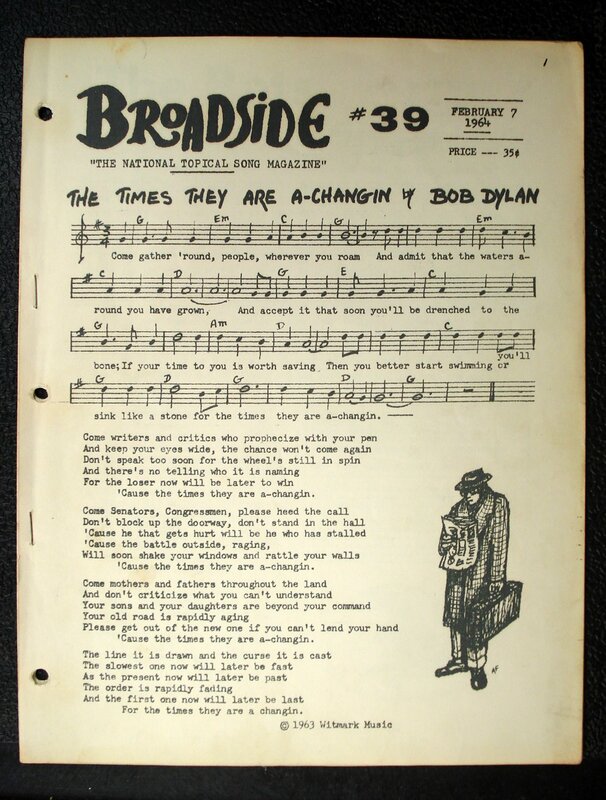 In this rare issue, Broadside published a new song by Bob Dylan, “The Times They Are A-Changin'”. Edgar Rice Burroughs created the fictional character Tarzan, a feral youth raised by apes, who returns to civilization, rejects it and returns to the wild as a vine-swinging heroic adventurer. Tarzan first appeared in the novel, “Tarzan of the Apes” (magazine publication 1912 book publication 1914). 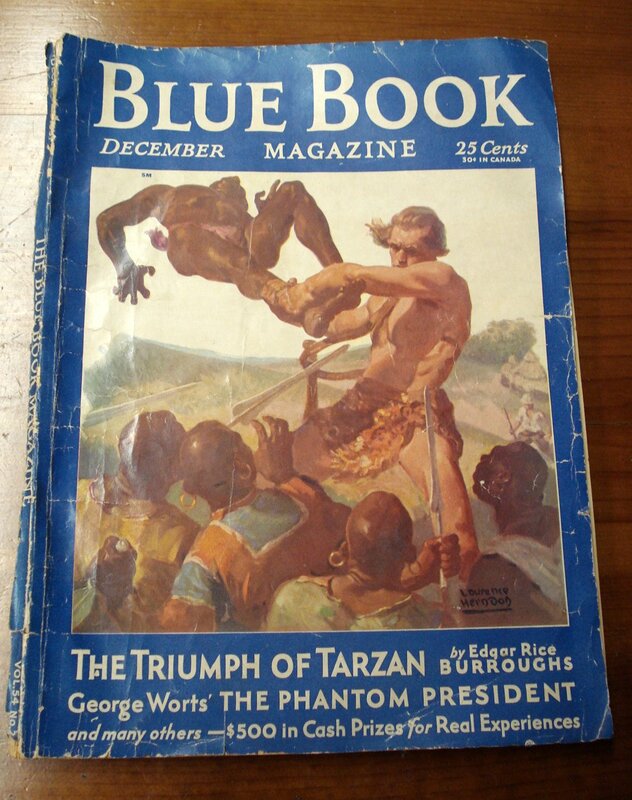 Here “The Triumph of Tarzan” is published in Blue Book Magazine, December 1931.The cover illustration depicts Tarzan swinging a native over his shoulders in what appears to be a fight to the death. A white hunter appears in the background, at the edge of the frame, carrying what looks to be a rifle. We thought this was a stunning metaphorical image of African colonialism. The McCall Company published this pulp fiction magazine of adventure stories. Blue Book magazine offered $500 in cash prizes for “real experiences’ which they published monthly. 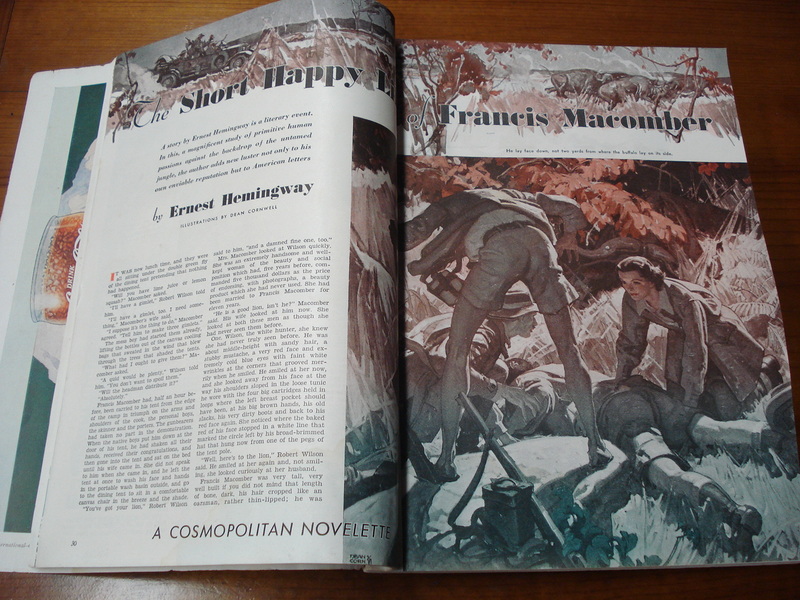 “The Short Happy Life of Francis Macomber”is a famous novelette by Ernest Hemingway, about wealthy people on big game hunting expeditions. This is the true first printing prior to being published concurrently with “The Snows of Kilimanjaro” in book format in 1936. 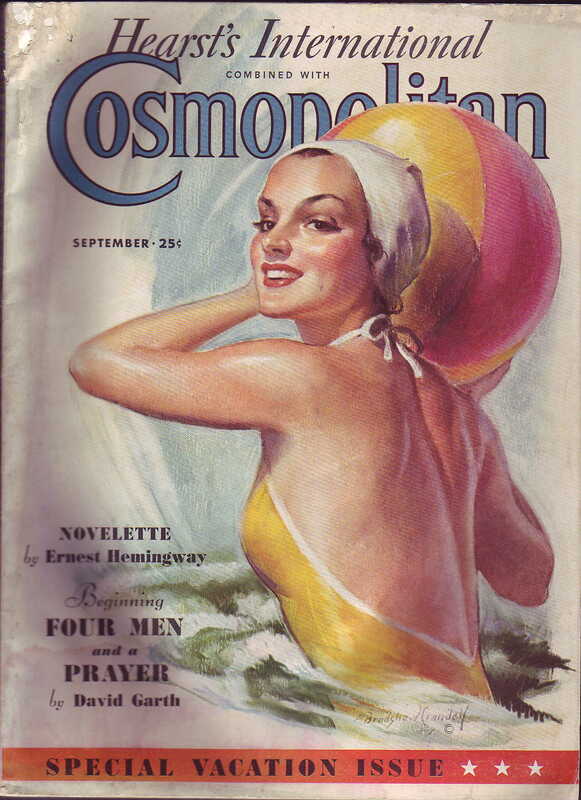 Also included in this issue of what is now “Cosmopolitan Magazine” is a serial “The Kidnap Murder Case”, by S. S. Van Dine, who also wrote “The Casino Murder Case” (which was later made into the James Bond film “Casino Royale“). Also included in this issue: “White Banners” by Lloyd C. Douglas. This lovely Bradshaw Crandell cover of a "Water Sprite" is a "Special Vacation Issue"
Note: “Novelette by Ernest Hemingway” to the cover.